Do you want to know what Pythagoras can do for you and your company? Pythagoras strives to deliver a CAD & GIS solutions for all your mapping projects. Together with our clients and partners we create software that solves problems in different areas. Surveyors, indoor mapping, dredging and mining companies and UAV, Lidar and machine control users all benefit from the intelligent algorithms that convert your data into CAD deliverables. Data sets coming from total stations, GPS instruments, laser scanners, mobile mappers, UAV and drones, single and multi beam systems and other CAD and GIS software packages can be handled and processed with ease. Do you want to know what Pythagoras can do for you and your company? Feel free to contact us. Pythagoras and Indoor Mapping! We create sections and floor plans from your indoor point clouds! Providing solutions for Surveying, Infrastructure, Construction, Agriculture and Dredging in an all-in-one package makes Pythagoras truly “360° Compatible”. Pythagoras helps surveyors offer services to architects, land managers, mining, dredging and agriculture sector, construction and infrastructure companies. Pythagoras helps indoor mapping companies to automatically filter floor plans and sections from large data sets using vectorization and classification algorithms. Pythagoras helps in analyzing all the different data types into a new, accurate and risk-free design that can be uploaded to your machine control system. Pythagoras is able to import processed orthophotos and classified lidar data. 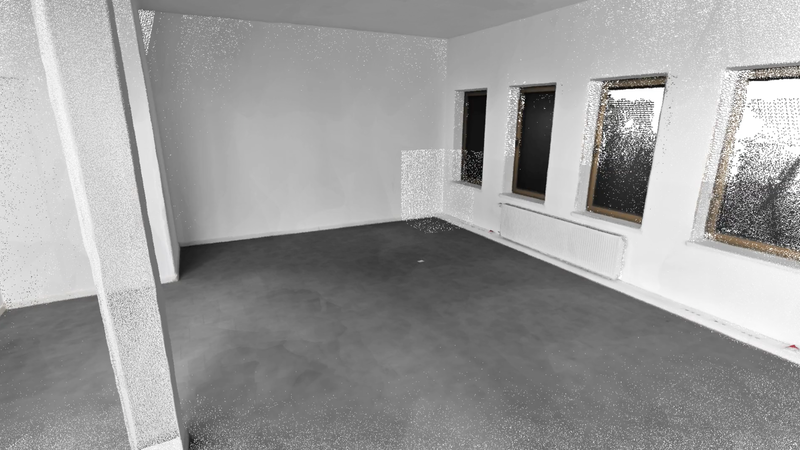 Easy visualization and cleaning tools allow to analyze images in 2D and the point cloud in 3D. Pythagoras helps to quickly and accurately handle different data sets and converts them into 3D models, excavation reports, contour lines, profiles and cross sections. Pythagoras will be your daily assistant to manage all your hydrographical survey and design needs. Pythagoras holds tools to easy compare two situations of the same project on different times. Job-site inspection, deformation analysis or dredging surveys benefit from these powerful functions.